© 2017 Corning Optical Communications. CRR-619-AEN / January 2017 Corning fiber brings limitless possibilities home. Connect your community to a brighter future. 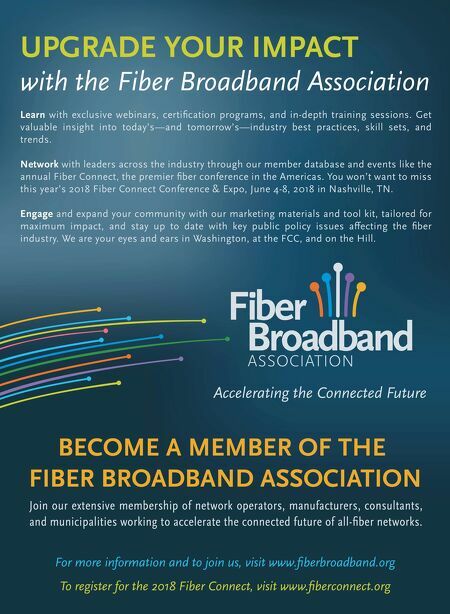 Beyond the triple-play services that your residents expect, fiber is the clear choice for enabling state-of-the-art public safety, broadband for everyone, intelligent utilities, and more. When you work with Corning, you have our innovative, worry-free approach and ecosystem of best-in-class providers to light the way. There's never been a better time to bring fiber home. Are You Corning Connected? 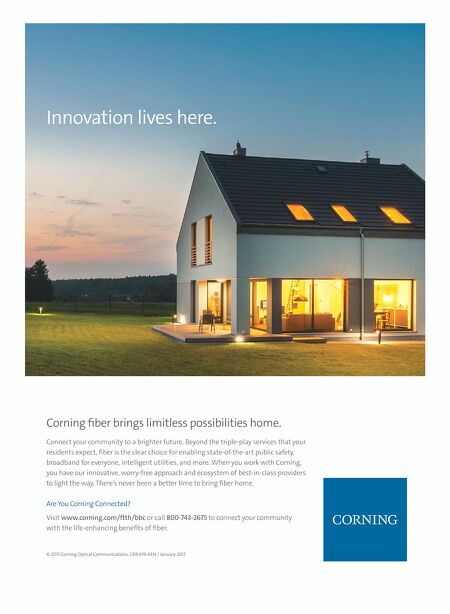 Visit www.corning.com/ftth/bbc or call 800-743-2675 to connect your community with the life-enhancing benefits of fiber. Innovation lives here.